I have to admit, I love stain glass windows. They rule. I love the different colors in the glass that create the pictures in them. 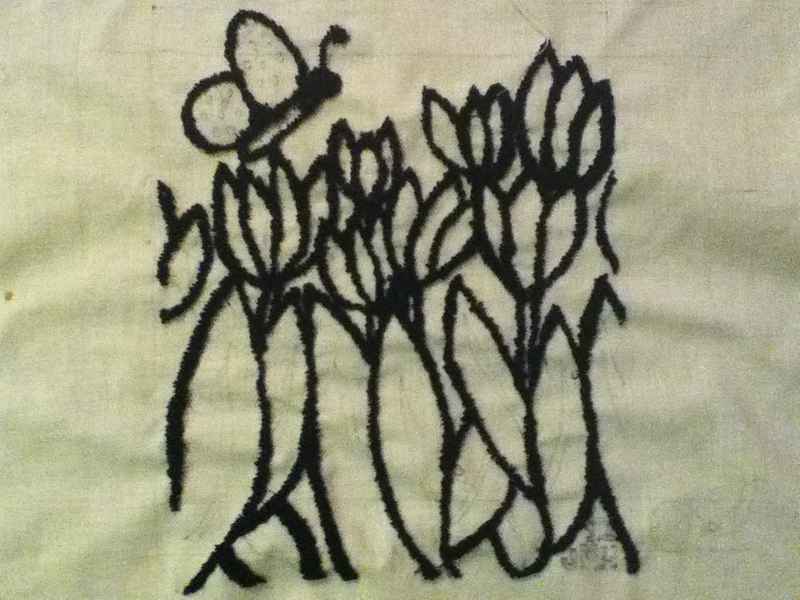 I really wanted to recreate one in a punchneedle design, but my first attempt turned out looking, well, bad. That is putting it lightly. My major goal was to replicate a stain glass window scene that is in my church, St. Francis Xavier Catholic church in Buffalo, MN. It is an old church with beautiful designs inside. 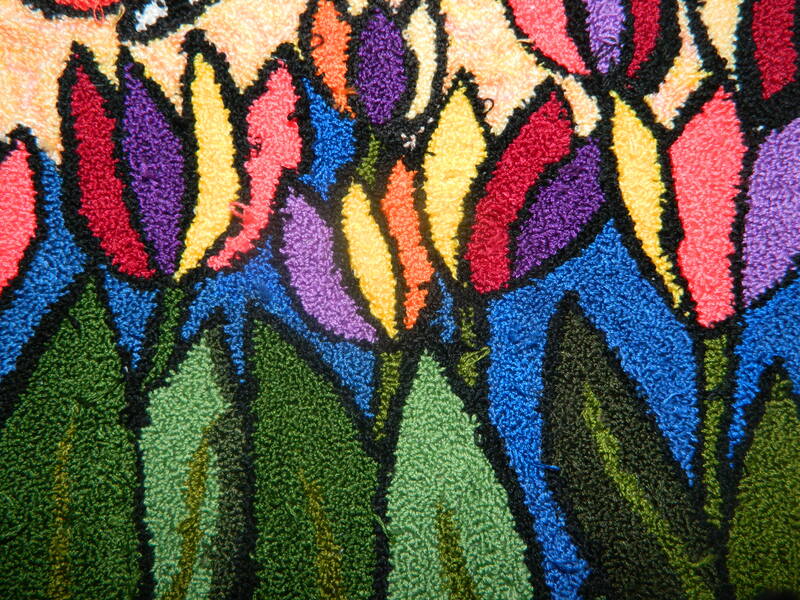 I have yet to have done humans in rug hooking or punch needle. I don’t think I am ready. 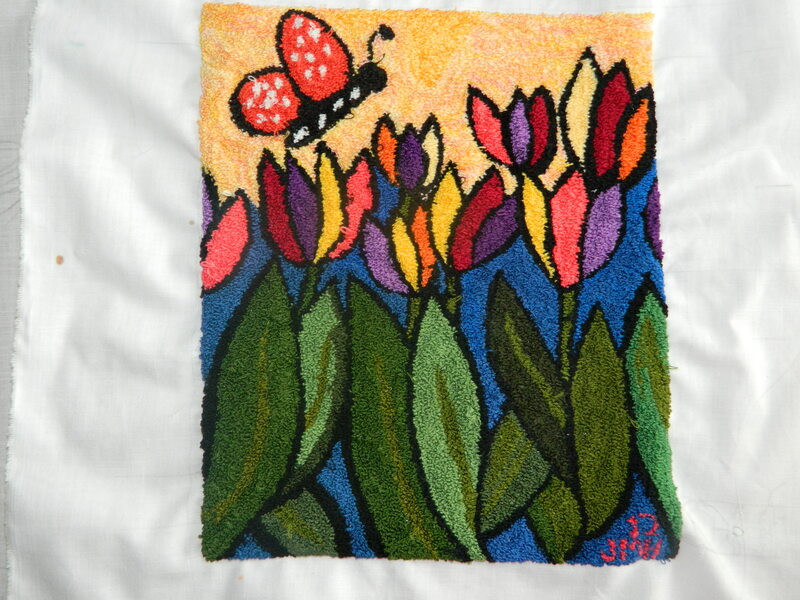 Instead, I decided to take inspiration from a rug I have seen on London-Wul Fibre Arts website. It is a store located in Moncton, New Brunswick (Canada). Anyway, her blog address is http://thewoolworks.blogspot.com/. This address is a great forum to discuss different things about fibres, working on projects, etc. 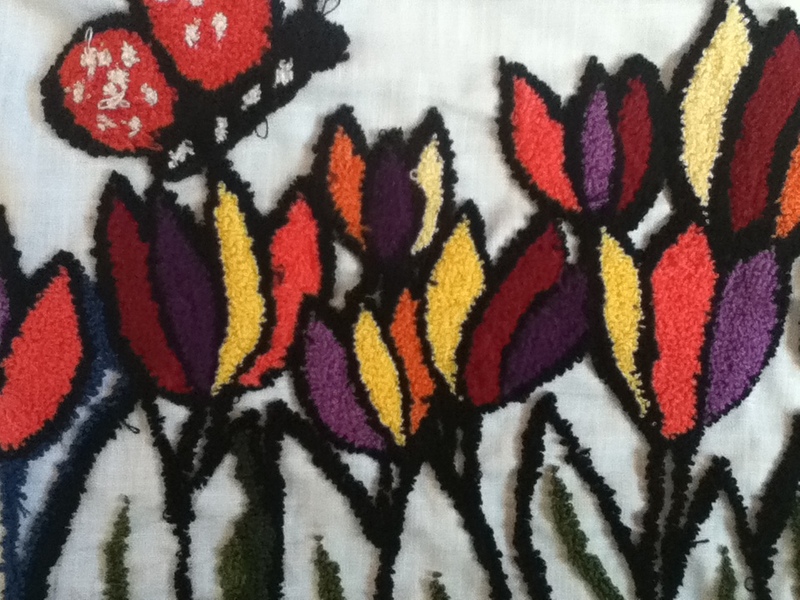 Anyway, my completed project is inspired by London-Wul Fibre Arts and stained glass. I took pictures throughout the making of the piece of art just to get an idea of how things come together. 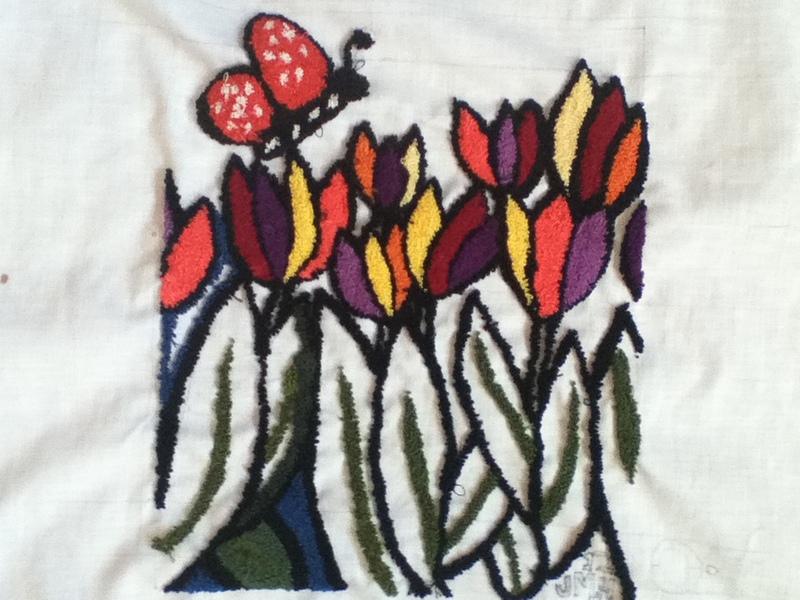 Here is the outline-or where the lead would go in stain glass windows. I used three strands of floss to create this picture. I really like the way this one turned out. I used floss that I received from my husband’s grandma’s house after she passed away last year. A lot of it was very old, and I don’t think I would have been able to find a match to today’s colors if I wanted to. So a little piece of her is in this artwork as well! I have to admit, I have had the itch. I have been itching to dye with plants, and yet I must wait until my dye garden begins to grow-outside. And that is not happening any time soon. After all it is February. Although you wouldn’t know it since we have little to no snow and the temperature has yet to dip below zero for days in a row. Not that I am complaining. I don’t mind it. But I still have the itch. So I decided to take some avocados and use the skins to dye wool fabric. This was my first time using both avocado skins and fabric to dye with. I think I made out okay. I used 100% wool suiting and four avocados. Avocados were on sale at the local Cub foods store, so I figured, why not? My method: I let the skins soak/fester in water for a week. I was going to try to take the pH of the water throughout the week, but it didn’t change much. I was kind of hoping that I would have gotten a drastically different pH by the end of the week, but the pH stayed between 7 to 8. I simmered the avocado skins for 45 minutes and then put in alum mordanted wool fabric. I simmered the dye pot for 40 minutes the first time and ended up with a surprising color. 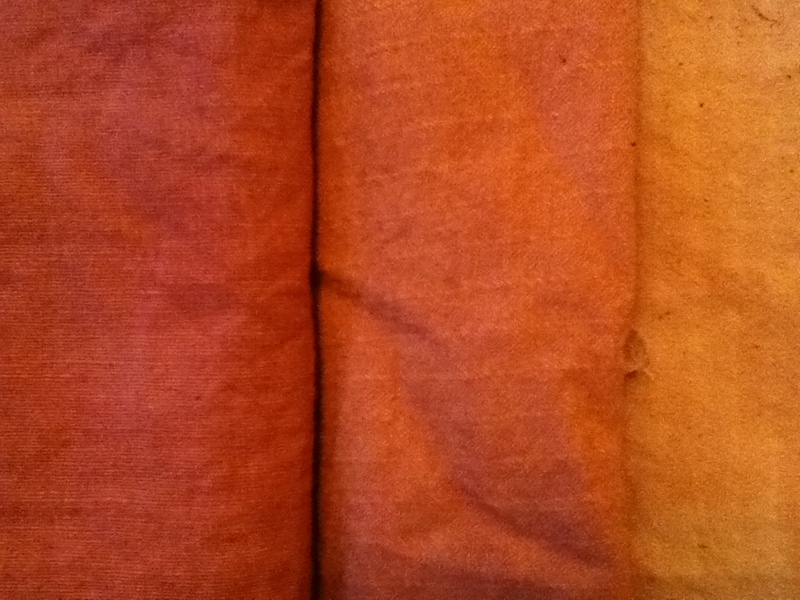 Here is a picture of the fabric from the first round of dyeing. 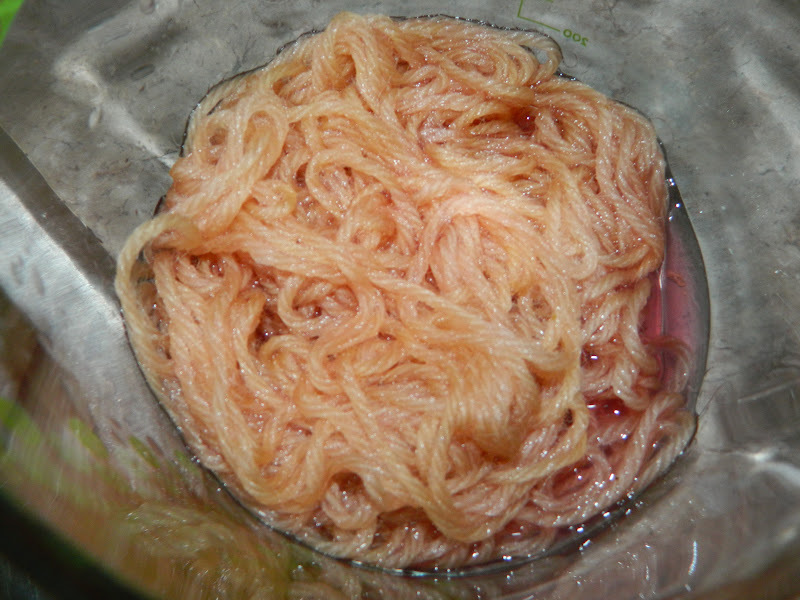 I was pretty amazed to see a pinkish brown color come out of the dye pot. Here you have blackish green avocado skins that resulted in a dyed piece of fabric that is pinkish brown. When the fabric initially came out of the dye pot, the fabric looked purple, but after rinsing out the excess dye, the fabric turned out this color! Amazing! 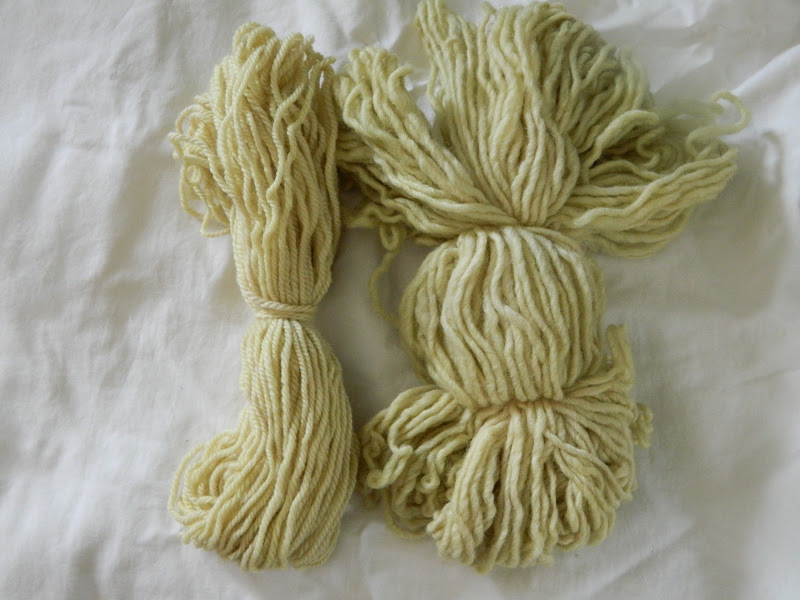 Eventually I will learn the chemistry of natural dyeing. 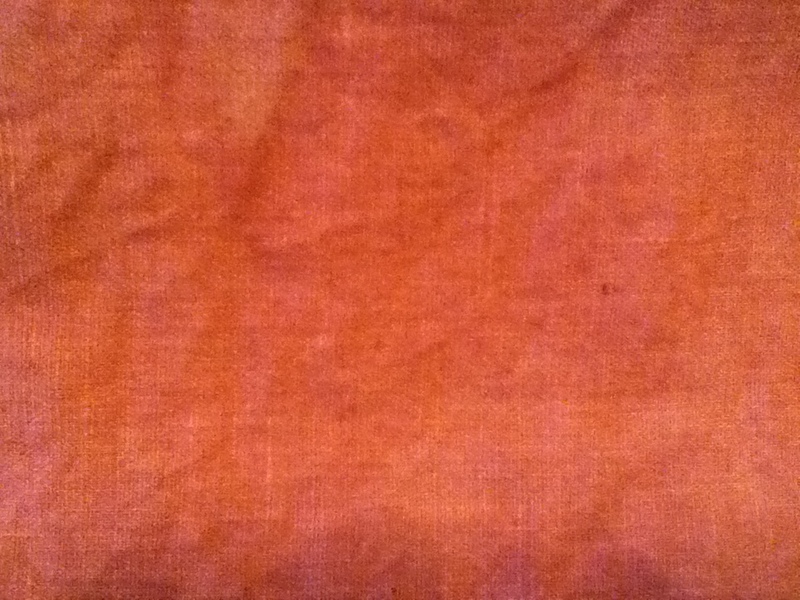 The second dye batch turned out a bit lighter, but is still a nice pinkish tan color. 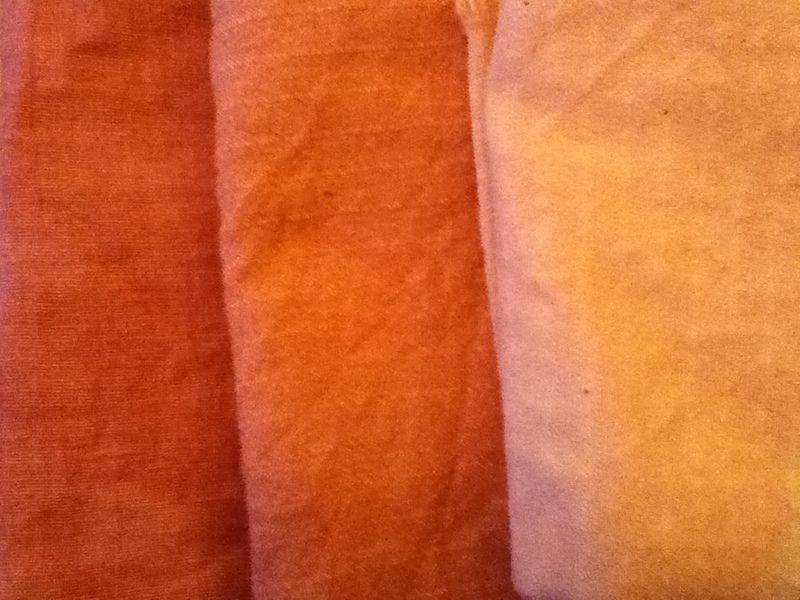 I also put all three pieces of fabric together to show the differences between the three batches. I wanted to show that even though you have used dye liquid, other colors can be created from the remaining dye liquid. Aren’t they beautiful? I think I might have to change from dyeing yarn to fabric! My main problem with dyeing fabric was controlling the bubbles created in the dye pot and ending up with uneven colors. 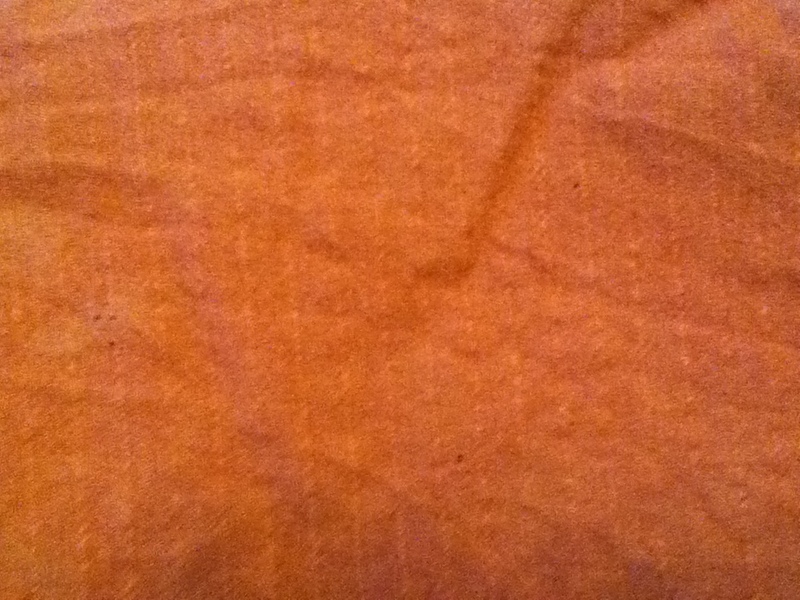 However, I think that this creates interesting aspects to the fabric. It may be nice to have an even dye, but it is also great to have an uneven color that creates the kind of art that I make. My art is neither perfect, nor is it done to a pattern. I generally have an outline and use it as guidelines-kind of like the pirate code in Pirates of the Caribbean! I really enjoyed dyeing fabric and cannot wait to dye more! I might have to use the skins of the many Cuties that have come into our house recently. Orange skins might create a beautiful color and I am guessing that it will smell really good too! I know I have mentioned this before, but I think once I have achieved some sort of mastery of an idea, I quickly find out I have only scratched the surface. 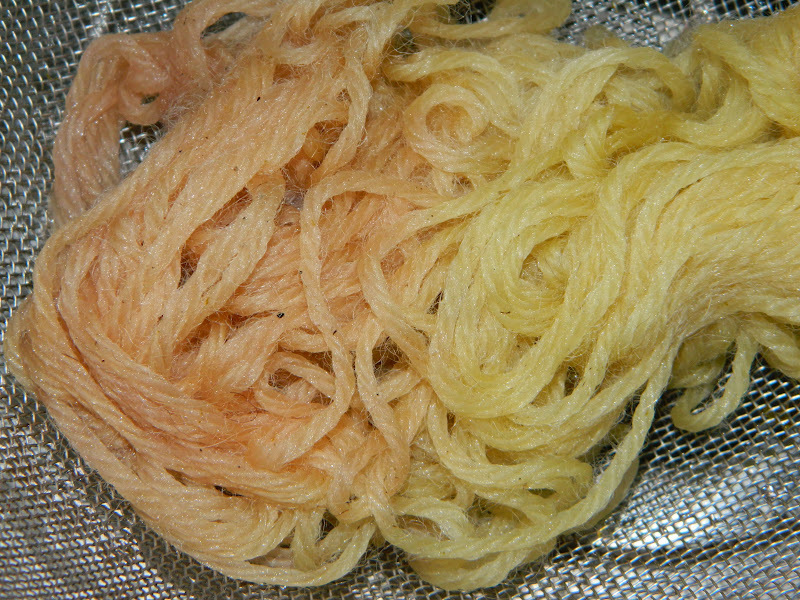 Thus is natural dyeing. I thought it would be so simple to go about planting the correct plants, many with the latin tinctoria attached to it’s scientific name. But this is not so. Those plants may be “dyer’s” plants, but they are not the only source of dye. 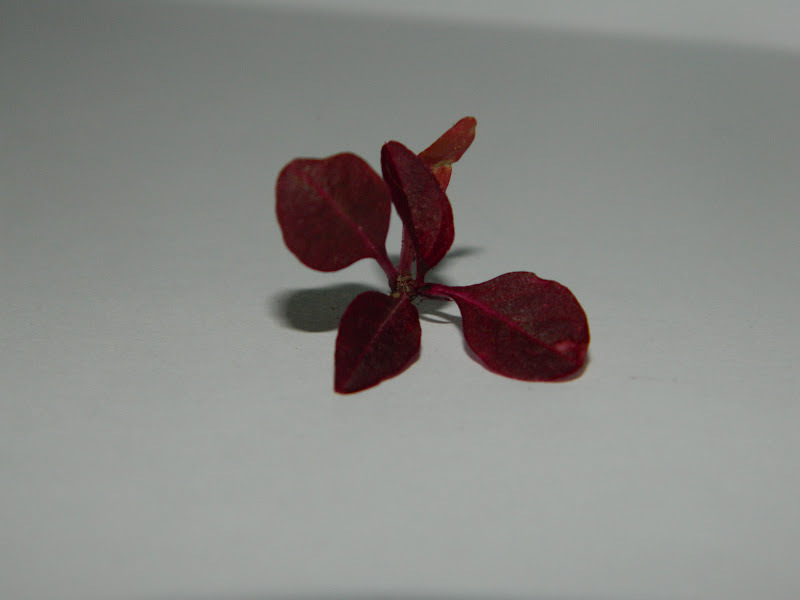 Not to get all confusing, but I wasn’t under the impression that only tinctoria plants would produce viable dyes. I was under the impression that naturally dyeing was a little known phenomenon, one that is only stumbled upon once in a while. I feel like I am making myself look more and more stupid as I progress. I am not sure exactly what I mean to say, but what I want to get out is that natural dyeing is a vast and expansive subject, one that can only be tackled with the understanding that there is no way you will ever know about half of the information about it. First there are the plants involved. Not all plants produce good dyes, or sustainable dyes. Then there is the use or nonuse of mordants. Is using mordants really natural dyeing? I guess that might be a philosophical discussion for those in the know. Next, what are you going to dye? 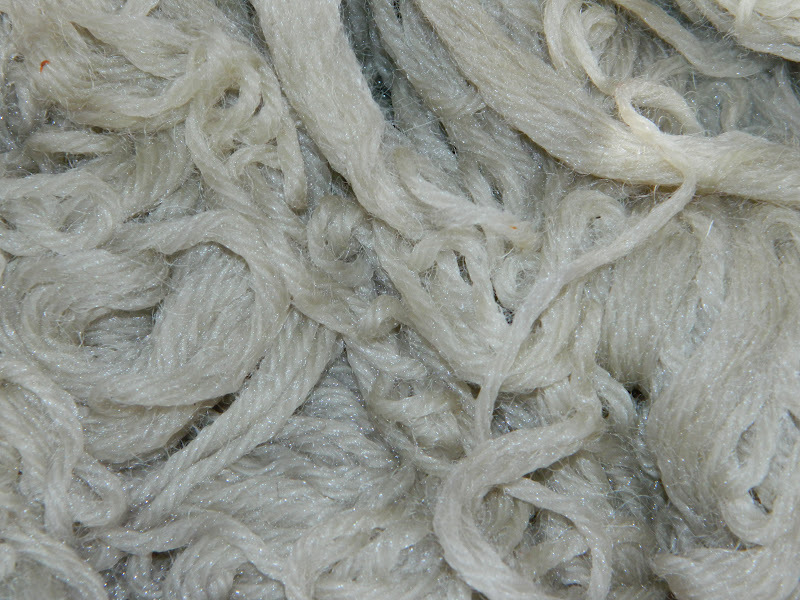 I was intially under the impression that wool was the best suited for natural dyeing, but you can find so many other materials that people have dyed from cotton to hemp, ribbons to yarn. The list is quite extensive and I am not about to put it all here. Then there is the process of dyeing. 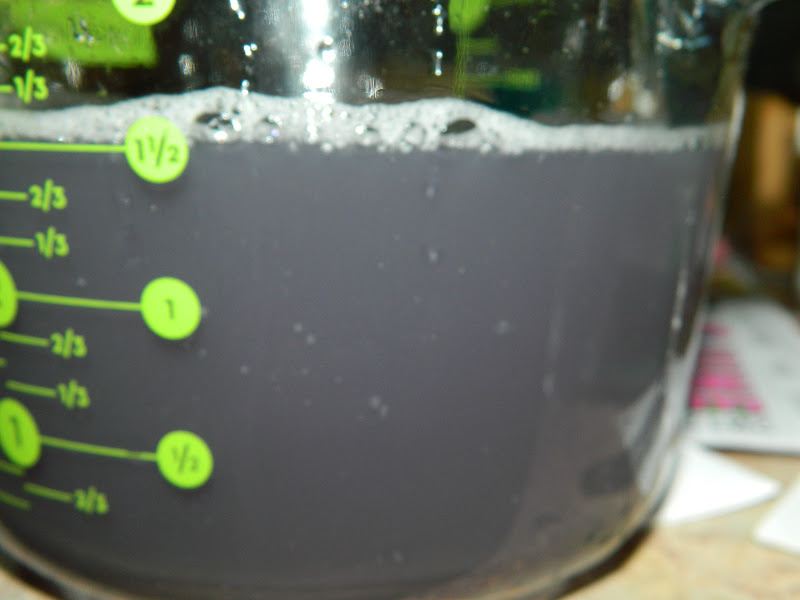 You can use heat or you can steep plants in water over a certain amount of time to achieve dye greatness. 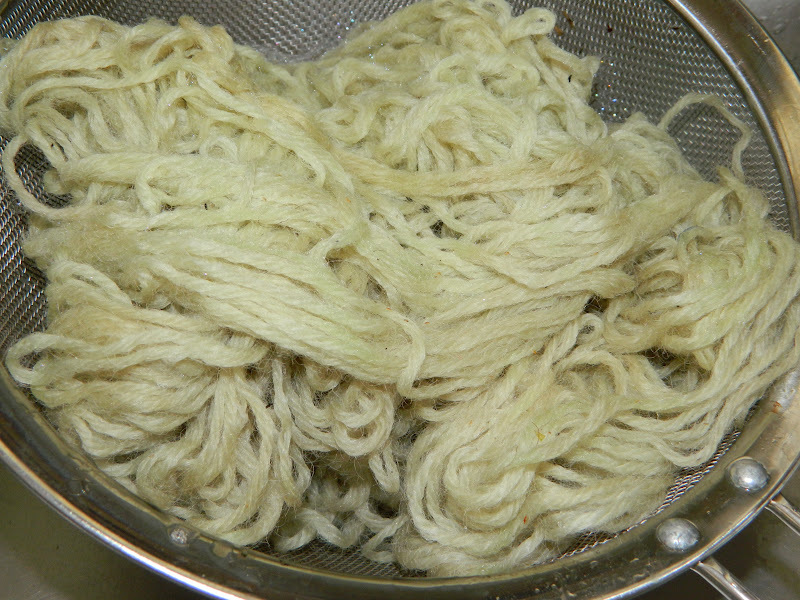 And then there is the different methods to dyeing in general: tie-dye, batik, etc……You would think dyeing with plants would be relatively simple. But it’s not. And then you can go even further and go into the realm of chemistry. You can figure out how dyes bond with materials depending on their (meaning the plants carbohydrates, proteins, etc) chemical composition and what mordants you use to “attach” the dye. And this just scratches the surface. Barely scratches the surface. There is no diamond scratching the surface of glass, but a finger nail scratching the surface of a mirror. 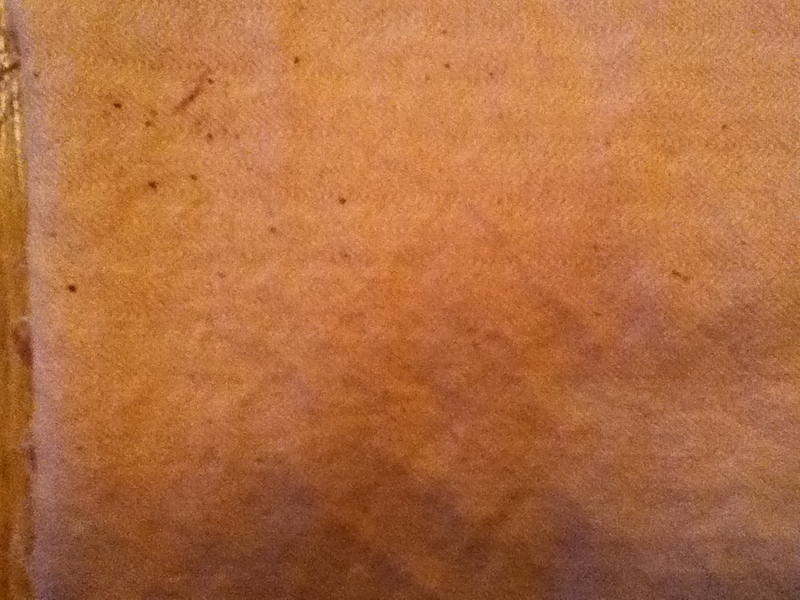 A faint line that can be quickly erased with some Windex and newspaper. I once took a class with this amazing professor in Colorado. So many things that he said made so much sense. Of course many of the things that ended up sticking with me are probably really attributed to someone else, but one thing I remember him saying was that there are no experts. There is no way that any one person can be an expert in one thing. How can we ever pretend to know EVERYTHING about a subject?